The photo above shows United States Army soldiers shelling Mount Maculot in the town of Cuenca in Batangas. It has been downloaded from the United States National Archives, processed with graphic editing software to improve quality and then colorized courtesy of Algorithmia. 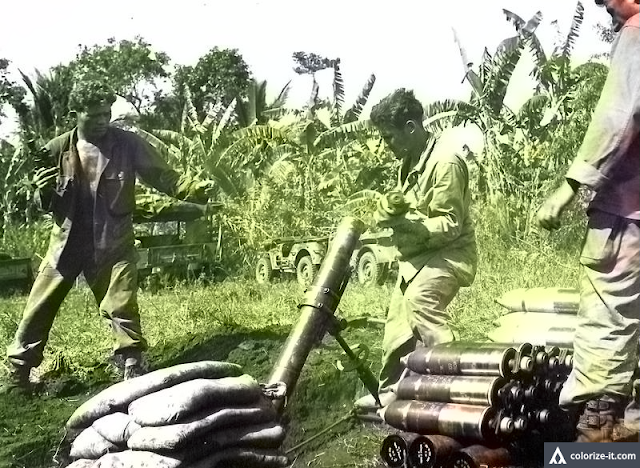 The picture was taken on 13 June 1945, at the height of a United States Army assault on Mount Maculot. The battle here was regarded in some World War II documentation as among the fiercest in the Western Pacific Theater of War.